There are some four thousand tapas bars in central Madrid, but one more than any other stands out for its amazing pulling power, luring in excess of 80,000 customers a week – that’s as many as a full house at the massive Bernabeu Stadium – home of the city’s soccer giants, Real Madrid. John Newton found a staggering variety of tapas on offer all day –until the early hours- in the majestic Spanish capital. Just a stone’s throw away from the magnificent Plaza Mayor - once the site of executions, Inquisition trials and bullfights - the Mercado San Miguel has re-awakened like a city market phoenix. After a long, painstaking facelift, the grand old building with its soaring wood and iron roof is now a traditional market for the 21st century. And many of its stalls – more than 30 of them - have become thriving tapas outlets, wooing locals and tourists alike with delicacies, such as salpicon de mariscos - a Spanish seafood salad of octopus, prawns and mussels with green and red peppers, onions and parsley prawns. * Cala Alberta, which dishes up its famous rabo de toro (bull’s tail or oxtail stew) and braise oreille de porc (braised pork and pig’s ear). It’s been around since 1827 and occupies a building where Cervantes is said to have written one of his books. The secret to its staying power is vermouth on tap. * La Venencia which serves only sherry from Jerez, such as Amontillado, Fino and Palo Cortado (with some Iberian ham to wash it down). 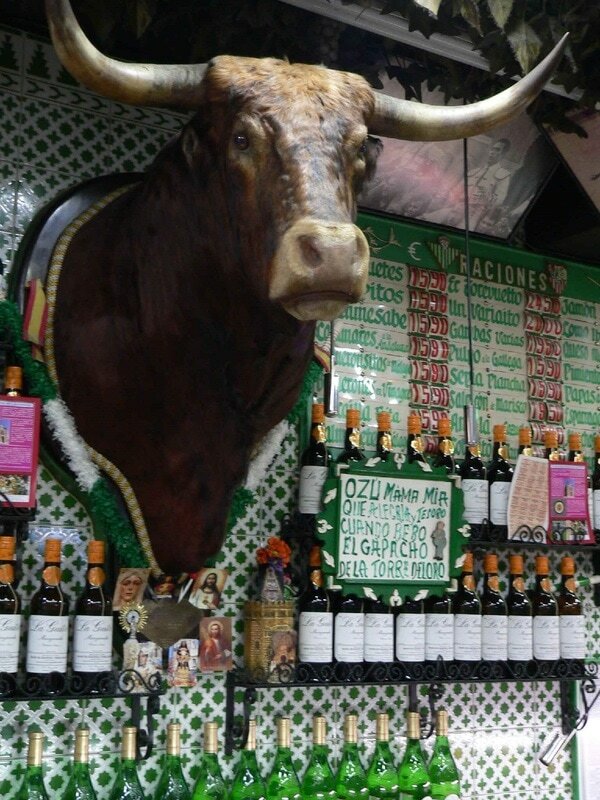 * La Torre del Oro – this famous bullfighting bar overlooking Plaza Mayor is the real deal with its walls covered in memorabilia of spectacular photos of the best matadors and the heads of the greatest bulls. Finding the best bars can be exhausting and time consuming, but Madrid Foodies will save you the trouble. They run tapas tours through old Madrid guided by local experts in gastronomy. And they also offer a food markets trail tour, wine tastings, gin and tonic sessions and Iberian ham tastings. 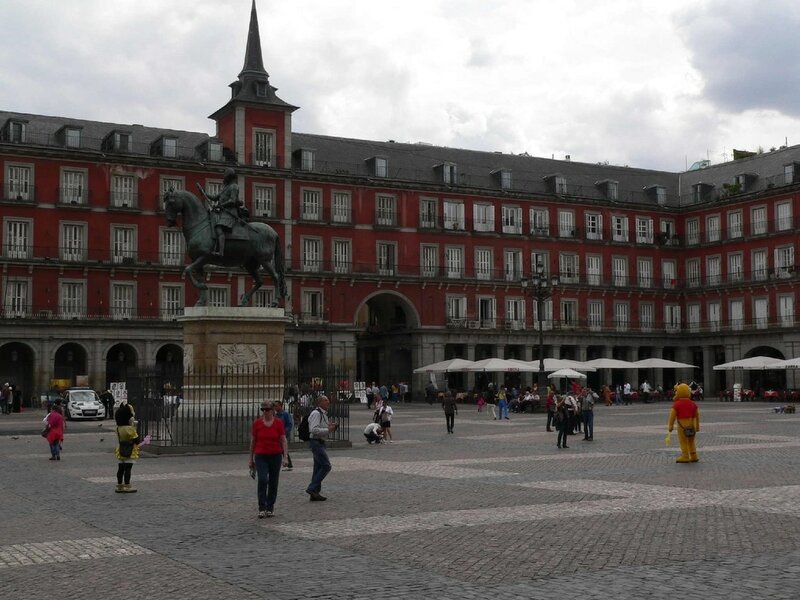 Ernest Hemingway had a love affair with Madrid, asserting that when one got to know the place, it was the most Spanish of all cities, the best to live in, with the finest people and a wonderful climate. He hung out at hundreds of restaurants during his time in Madrid, including El Botin which, according to the Guinness Book of Records, is the world’s oldest restaurant. (There’s a certificate in the window to prove it). Its mouth-watering house specialities are Castilian-style suckling pig and lamb roasted in the old wood-fired dating back to the restaurant’s foundation in 1725. A Madrid institution, El Botin’s suckling pigs hail from Segovia, while the lambs are reared in Burgos. The menu also features the restaurant’s other famous dishes, such as traditional Castilian garlic soup, gazpacho, clams a la Botin, cuttlefish in ink and Madrid-style hake. Ask for a peek in the wine cellar, where you’ll see wines up to 100 years-old. 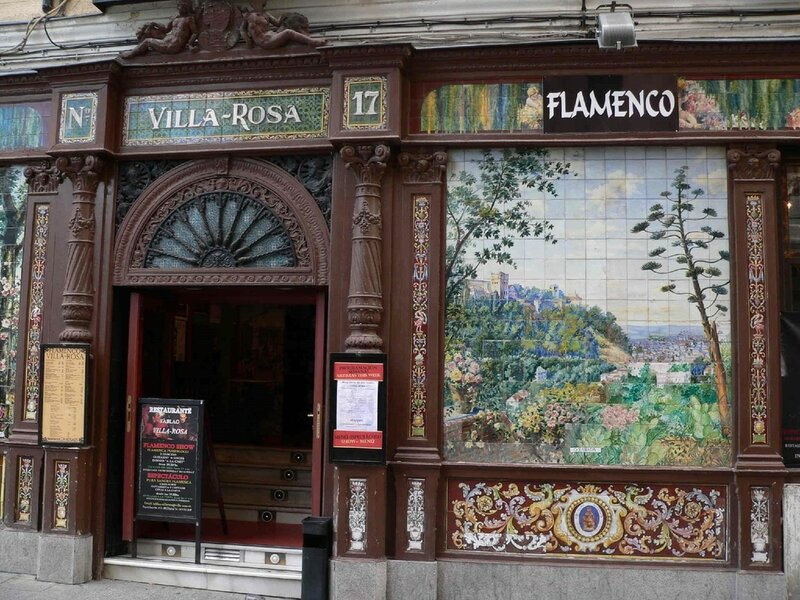 When most Madrilènes come out at night to party in the tapas bars, I headed for the flamenco show at Tablao Villa Rosa - yet another insight into the soul of Spain. Villa Rosa, established in 1911, is regarded as one of the best shows. 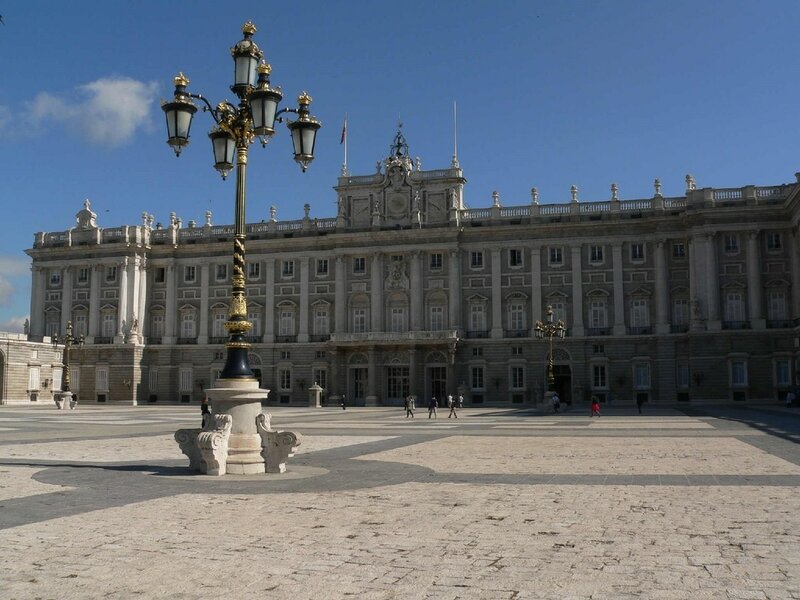 It’s also renowned for its outer façade that features paintings and ceramics by Sevillian master – Alfonso Romero Mesa. Flamenco is an art that was classified a as an Intangible Heritage of Humanity by UNESCO in 2010. It was born in the late 18th century in Andalusia from the cultural fusion originated in that region (Andalusian, Moorish, Castilians, Jews and, above all, gypsies. 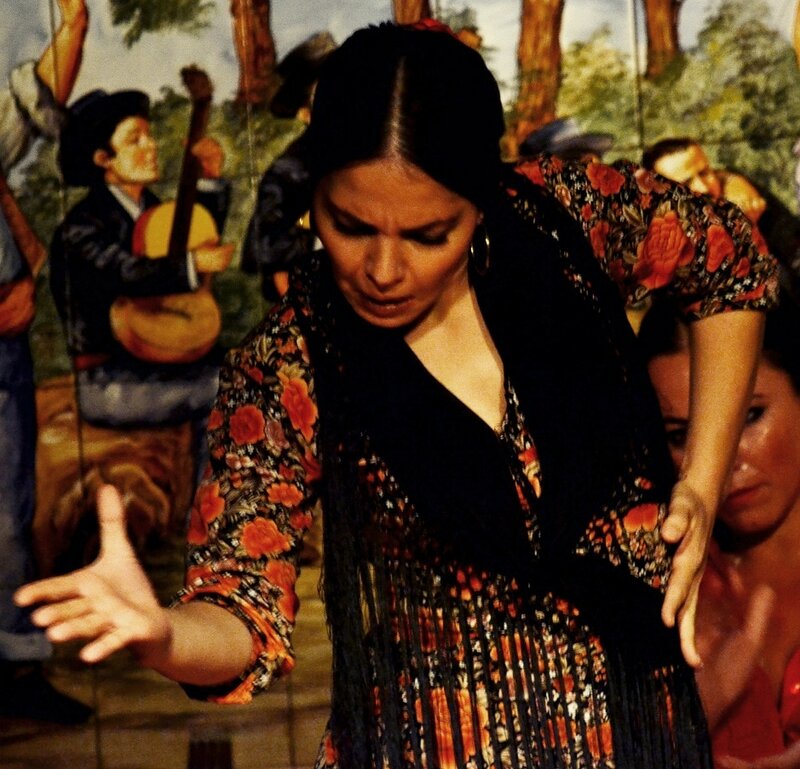 Madrid has many nightly flamenco shows, but check with your hotel concierge to point you to the best in town. Inter-city rail travel in Spain is fast and smooth. Renfe - the State-owned rail operator’s AVE trains power along at more than 300 kilometres per hour. And in first class, you can on some journeys enjoy a three-course meal with choice of wine while watching the train’s changing speed flash by on a monitor in the carriage. “God worked six days, and rested on the seventh. Madrilenes rest the six, and on the seventh…go to the bullfight”.